Diskirz is back with a monstrous EP on the American and visionary label Bassweight Records! After several shows in Canada in 2018, Diskirz is back in his homeland and is releasing an exospheric EP ! It’s a loaded EP with 4 tracks including a collaboration with our dear friend and founder of the cookerz crew, Answerd. We start with “Sequence”, it opens the ball with an intro that establishes the robotic world of Diskirz. After a fairly classic build up comes a striking drop with a touch of ternary in the second part of the drop. From the intro of the second track entitled “Nemesis”, the atmosphere is quite different. A darker climate is set, refering to the goddess’s name, which is the name of the track . Then comes the build up which makes us feel a particular kind of pressure . The drop follows without really creating a syncope and the synths plunges us into the world of Diskirz. The third, “Encode”, takes its name from a scientific project that studies the human genome. Directly, the intro synths are spasmodic leading to a surprising build up and a timed drop. The only collab of the EP with Answerd, and probably the most insane track. Under his enigmatic name, “Robotized”, starts from the outset with a guitar riff where we recognize the signature of Answerd. The atmosphere introduced by a snare build up , almost military. This leads us to a smashing drop. What impressed us the most is the second part of the drop because it doubles in intensity, get ready, it’s heavy ! We spoke to Diskirz to try to discern his universe. Dubbstep.fr: What does this EP represent for you? This EP represents the accomplishment of several months of work in pursuit of a sound quality perfected with relentlessness. It is the work of many experiments that played, I think, a major role in my evolution as an artist. 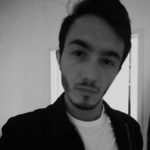 Dubstep.fr: Why a collab with Answerd? It’s been a while since we had planned collab Answerd and me. It’s a really original artist and I like the fact that we find metal / rock influences in his music. I find it inspiring and I thought it would be interesting to mix our two styles as well on the melodic level as rhythmic. The result is rather conclusive! I always liked what he does I think we have a lot in common on the epic side and the melodies in our sounds and then as we get along well. It was supposed to happen sooner or later, I think? Dubstep.fr: What is the most valuable track for you? 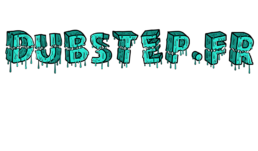 Dubstep.fr: How would you define your style? I would define my style as a fusion of deep atmosphere and aggressive drop. No matter what ideas I might have, there will always be some intention in my tracks. I like the fact that my tracks are very distinct, I want them to have their own identities. Thanks to Diskirz for answering our questions! To find out more about him, do not hesitate to watch our interview that we made in Montreal. [FOCUS] Fresh Blood : Answerd [INTERVIEW] Diskirz [FOCUS] L.U.X et Samplifire s’associent pour nous sortir une track cosmique ! [FOCUS] Le lineup DUBSTEP de la DREAM NATION 2018 en détail !